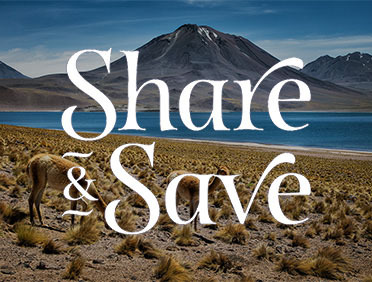 Bucket list worthy adventure, fewer tourists. Just northeast of Tahiti lies the hidden jewel of French Polynesia. 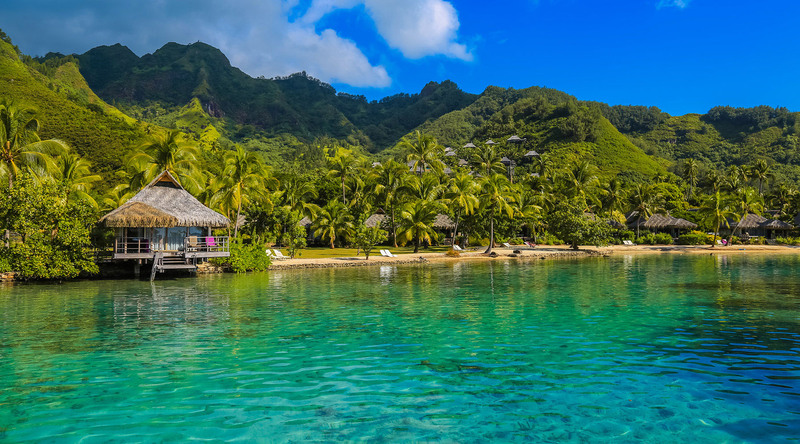 Swathed in white sand beaches and crowned with verdant mountain peaks, Moorea offers the stunning views, amazing wildlife, and stilted bungalows of the region’s larger islands—but with the charm of a private paradise. A former retreat for Tahitian royalty, Moorea is home to a traditional farming village, diverse marine life, and winding jungle roads, ideal for exploring. Ride out the warm, humid temperatures by discovering one of the Island’s many waterfalls. Or, go beneath the surface of the turquoise waters to snorkel and scuba the reefs surrounding Cook’s Bay and Opunohu Bay—keeping an eye out for sharks, stingrays, and tropical fish. Despite its remoteness, there are a variety of exciting ways to get around the small island. Walk along the streets that line the shore, taking in images of fishermen paddling traditional outrigger canoes and pareo-clad women heading to the market. Head inland towards the lush green mountains and hike the extensive trail network. Pack a picnic of local baguette, meats, cheeses, and Hinano beer and set out on a romantic moped adventure for two. Of, course there’s plenty more to see in the water. Experience the archipelago’s biodiversity with a visit to Moorea’s Dolphin Center. Sunbathe on the white sandy beaches and grab some poisson cru from a roulotte food truck. Set sail on a glass-bottom boat tour to explore the beauty of Moorea’s shimmering lagoon or take to the air with a paragliding adventure. By sea, sky, or land, there are endless ways to explore Moorea. Join a tour to truly discover everything from the coastline to the Island’s interior. Hop on a 4x4 off-roading adventure through the Island’s bamboo forests. Take a horseback riding journey along Moorea’s shores and exotic jungle. From visiting fruit and coffee plantations to exploring the ruins of a Polynesian “marae” temple, see more of what Moorea offers with a guided excursion. A must-see on your visit to Moorea, this lookout offers the best panoramic views of Opunohu Bay and Cook’s Bay, nearby Mount Rotui, and the grassy valley below. See ancient ruins as you walk the road leading up to the Belvedere Lookout and continue your adventure with a hike of Magic Mountain for even more stunning views of the North Shore. Get an authentic taste of local culture at this modern replica of a traditional tiki village. From this cultural center, watch as artisans create wood carvings, weavings, leis, dyed cloth, and more. Enjoy a buffet dinner complete with local delicacies, wine, and a rousing evening of live entertainment including dance, singing, and music. Experience the Polynesian way of life through these creative and integrative performances. Glide through the crystal clear waters of Moorea's lagoon, surrounded by stingrays and other sea life. Join Berkeley marine biologist, Dr. Michael Poole, or his research assistant, on this eco-adventure and research project in search of wild, free-ranging dolphins. Capture the colors and vistas of Moorea on this adventure guided by a local photographer, in search of breathtaking shots.